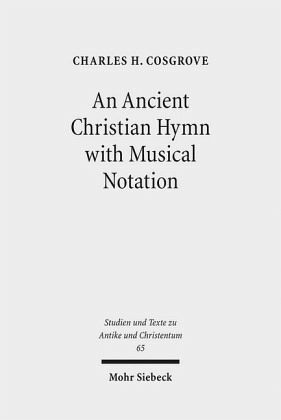 In this book, Charles Cosgrove undertakes a comprehensive examination of Papyrus Oxyrhynchus 1786, an ancient Greek Christian hymn dating to the late third century that offers the most ancient surviving example of a notated Christian melody. 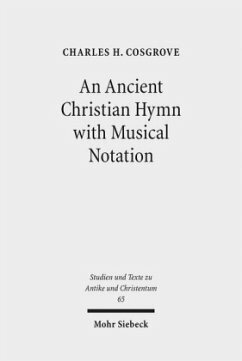 The author analyzes the text and music of the hymn, situating it in the context of the Greek literary and hymnic tradition, ancient Greek music, early Christian liturgy and devotion, and the social setting of Oxyrhynchus circa 300 C.E. The broad sweep of the commentary touches the interests of classical philologists, specialists in ancient Greek music, church historians, and students of church music history.